Item Description: Make your nest that much more interesting with the simply striking Roxenton nesting tables. While the finish is dark and dramatic, delightfully different grill sides keep the aesthetic open, airy and casually cool. 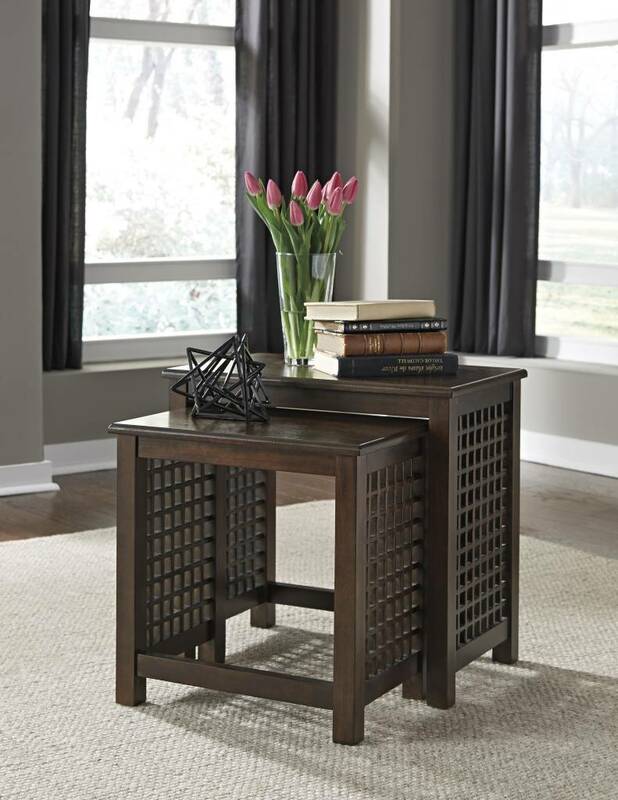 Series Features: Table is made with Acacia veneer and hardwood solids in a deep brown finish. Cocktail table has shelves for added storage. Table sides have a wood grille detail that adds a casual attitude.